Home / General / Handy Tips to Balance your Work-Life!! inability to stretch till late, thereby marring their career growths. But thankfully, those days are behind us! While life &amp; job dependent projects still need to be executed; client deliverable still need to be met, managers are slowly beginning to empathize with their team members’ need to balance their personal &amp; work lives. Role & time sharing between team members is encouraged to ensure that not one single individual bears the projects’ – load. But like we said, it is slowly beginning to catch – up. The sooner managements pay heed to this and facilitate employees to have better personal lives; they will be surprised to see the employee retention rates, work-commitment & accountability levels soar up. 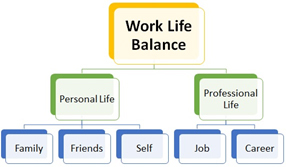 So, how does one define work life balance? 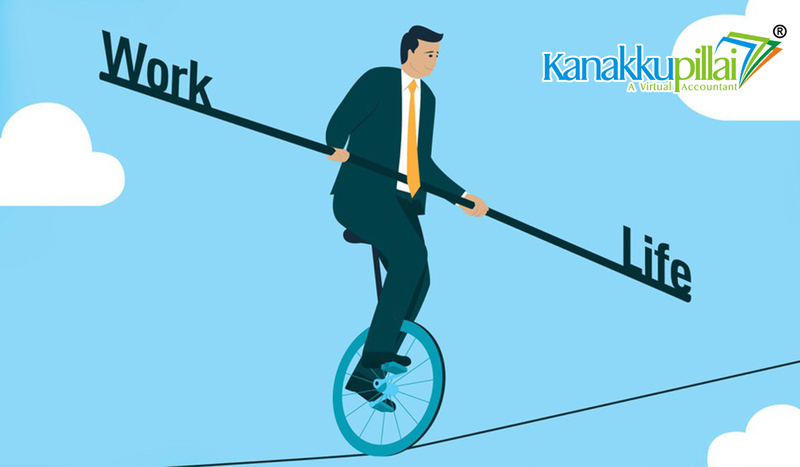 The Kanakkupillai team defines work life balance as an ability to split your time productively between work, family, friends, spirituality, self-care & personal growth. Even the most ambitious and workaholic professionals have an inherent desire to be able to achieve this balance someday; but in the pursuit of their lop-sided career goals, they somehow miss the mark. And then come the inevitable consequences of fatigue, emotional stress, and physical ailments and so on & ; so forth. Seeing other team-members get frequent rewards, awards, Incentives, promotions etc. can be unnerving for most of us; even to the extent of making us bitter towards them or the manager or for that matter the entire company. Remember – You can pick only three things out of work, sleep, family, friends, spirituality and fitness. Figure out what really matters to you and priorities it. Define the parameters of success in each of the areas that you choose and consciously distribute time among these three areas. Learn to say &#39;no&#39; to people and activities that distract you from these priorities. At the end of the day, it is not how many awards that you accumulated rather how peaceful and contended you are with your work-life; that matters! If exercise is food for physical body, meditation and rhythmic breathing techniques are a dessert for the mind! The mistake people make with fuller calendars is to skip their physical exercise routines. Allocate few hours a day preferably on lighter work days; to follow a physical exercise routine. It can be joining a gym, aerobics or Pilates class, Zumba or yoga class. If you still prefer the conventional jog in the neighborhood park, take out hose 30 – 60 mins and JUST GO FOR IT!! Exercise is an effective stress reducer. It pumps feel-good endorphins through your body. It helps lift your mood and you will be surprised to see your work-productivity go higher. Use simple 5 to 10 minutes easy meditation techniques to disconnect & de-stress from your hectic work routines. Most importantly, do not feel guilty when you are unable to follow this new routine few times a week. It is a new practice for your body &amp; mind. So give yourself time &amp; continue to pursue these new goals. More important than managing your own time calendar is to know your boss’s schedule. Maximize meeting time with your boss every week; be strategic and work closely with his administrative staff to achieve this. Give him or her regular updates about your project/work status and seek regular advice & guidance on matters where you may be stuck. Managing regular interactions with your boss will ensure that he or she will know that you are on top of your game and will tend to bother you less, especially if you have drawn some fine personal time boundaries. 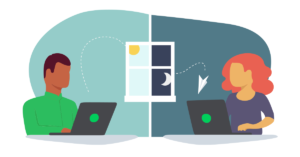 From telecommuting to programs that make work easier, technology has helped our lives in many ways. But it has also created expectations of constant accessibility. The work day never seems to end. There are times when you should just shut your phone off and enjoy the moment. Make quality time true quality time. By not reacting to the updates from work, you will develop a stronger habit of resilience. Resilient people feel a greater sense of control over their lives while reactive people have less control and are more prone to stress. So, Find your true balance and do not allow anything or anyone come in the way of your being truly and totally at peace with your professional & personal life !! Until then, Keep Smiling &amp; Keep Trending!! Previous Have you set your Professional Goals yet? Next Motivate your Team to a New High! !